According to the National Association of Realtors, last year there was a 14% decline in the number of For Sale By Owner (FSBO) properties. 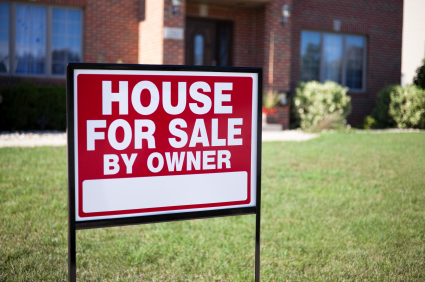 Despite that decline, FSBO properties are still available in Nutley – and in an inventory-challenged market, you might find one of them is a pretty tempting buying opportunity. It can be tempting for FSBO sellers to cover up problems that would have been picked up if a seller’s agent had been involved. By using an experienced buyer’s agent, you stand a much better chance of identifying those common problems. A qualified inspector (your agent will recommend a good one) can help you spot the more well-hidden ones. FSBO properties usually cost more! Statistics bear it out: it’s estimated that FSBO properties can cost 10 to 20% more than those listed via real estate agents. Owners in Nutley just tend to overestimate their property’s worth and selling potential. And without the counsel and guidance of a real estate professional, sellers usually establish a stronger emotional attachment to their first listing price. The presence of your buyer’s agent (with a notebook full of comps) is sure to power up your negotiating stance! One of the main reasons to team with an agent is the plethora of legal issues that are interwoven with residential real estate sale transactions. By using an agent, you stand to identify any contractual mishaps before they are executed — and well before costly repercussions materialize. Since many owners who take the FSBO route in town are usually short when it comes to real estate transactional expertise, there may be required disclosures and important paperwork that they have missed. You don’t want to find that out too late. If you wind up seriously eyeing a Nutley FSBO home this summer, save future headaches by including your buyer’s agent commission in your offer. More questions? I’m available for consults this week! Why Some FSBOs in Nutley Fizzle! In the business publishing world, one of the most reliable bestseller categories is Marketing and Sales: How to Sell This, or Tips for Selling That. Selling may be a complicated business, but one approach always sets you ahead of the pack: putting yourself in the shoes of the customer. Selling a Nutley home is a case in point. When it comes to searching for a new home, today’s prospects find two types of homes for sale — ones offered by a Nutley real estate agent, and those For Sale by Owner (FSBO). When you look at the rate of sales between the two, it has long been the case that most often the FSBOs do poorly compared with those sold by agents. So why, exactly, do so many FSBOs fail to live up to expectations? Putting yourself in the shoes of the customer sheds light on at least one good reason. Real estate professionals make their living by closing sales, and that means knowing how to handle the technical details: the paperwork. Customers (the home buyers) can usually tell right away if a property is being marketed by someone who is a real estate amateur. With an investment as large as a home at stake, no one welcomes a gamble that any part of the documentation may later prove flawed in some detail. There is also the fact that Realtors® sometimes steer their own home-buying clients away from area For Sale by Owner properties — especially after seeing too many instances of sellers not educated enough about required disclosures, inclusions, etc. The For Sale by Owner route also sometimes hits a pricing snag. Owners often set a price on their home that they feel they deserve — rather than a realistic price supported by current market research. An average of 12% FSBOs get the pricing right…barely more than 1 in 10.